As part of improvements at Bournemouth airport, a new arrivals terminal building opened in 2011, designed to be energy efficient and to be carbon neutral, and doubling the size of the original building. 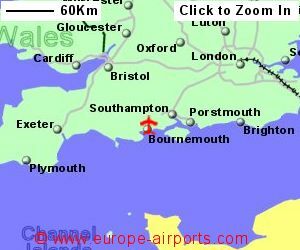 The nearest mainline railway station to the airport is Bournemouth, from where there is a frequent shuttle bus service (during the day) for a cost of 4 pounds. 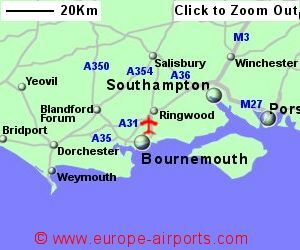 A taxi from Bournemouth centre is likely to cost 15 pounds, or 45 pounds to Southampton. 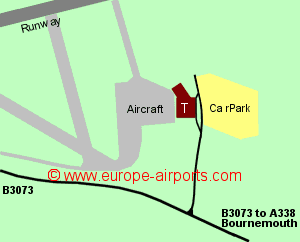 Bournemouth airport has 3 cafe/restaurants, 3 shops, a currency exchange facility, and FREE WiFi Internet access (free for 60 minutes). 694,000 passengers passed through Bournemouth airport in 2017, an increase of 4% compared to the previous year.